From Bandai Hobby! 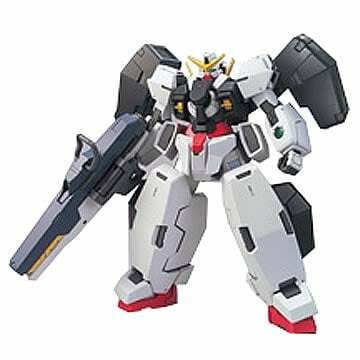 This Virtue high grade (HG) model kit is 1:144 scale and made of plastic. Chest lens and shoulder belt parts made with special material. Three-ball action installed in the crotch joint for smooth movement. Ball-joint system in the shoulders to recreate flexible poses. Beam saber can be used for other HG mobile suits. GN bazooka and two beam sabers included.